What is ‘Nero KnowHow PLUS’? 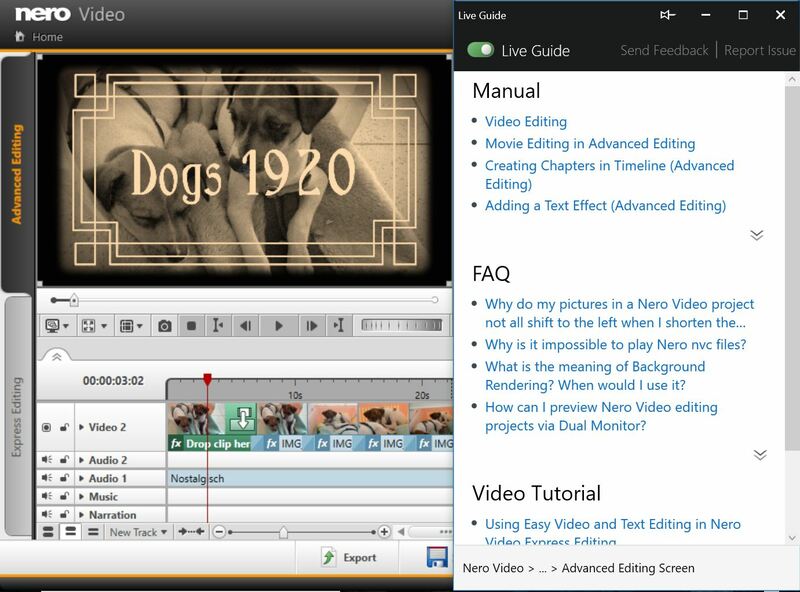 Many Nero customers already know and utilize the Nero learning center ‘Nero KnowHow’. So far it was only available as a Windows 10 app (PC/mobile), as well as an iOS and Android app. With Nero 2019, ‘Nero KnowHow’ comes as a new application with additional functionality also reflected in the new name. 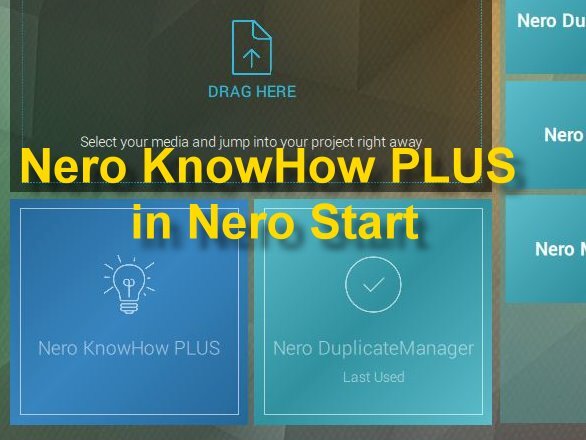 Now, ‘Nero KnowHow PLUS’ is a fully integrated Suite PC application and is available for all operating systems supported by Nero Suite 2019 and later products (Win 7/8/10). A new mode called ‘Live Guide’ inside of ‘Nero KnowHow PLUS’ enables users to get context sensitive tips & tricks, including help from within Nero applications. ‘Live Guide’ directly links to related FAQs, manuals pages, and tutorials within the main Suite applications in regards to the actual use case, application mode, or task performed inside of the given application (also see Nero KnowHow 00137). The new context sensitive window also allows sending feedback, as well as reporting issues (support tickets). Inside of the applications, a toggle switch enables ‘Live Guide’. The ‘Nero KnowHow PLUS’ user interface including ‘Live Guide’ shows itself in a vertical window right hand side of the screen, which can be moved over the screen, enlarged, and also pinned back to the minimized right hand position. From Nero 2019, all Nero Suite and standalone products will include ‘Nero KnowHow PLUS’ as a regular PC application . It will be delivered together with the Nero installer and will be available after installation of a Nero 2019 (and later) product. An Internet connection is mandatory for using ‘Nero KnowHow PLUS’. For users of Nero 2018 and earlier versions, ‘Nero KnowHow PLUS’ is available as a PC application that does not include ‘Live Guide’, but has the function to ‘Report issues’ integrated. This way, ‘Nero KnowHow PLUS’ is a generally available PC application and support-tool for any Nero user. Starting with the product launch of Nero 2019 products, ‘Nero KnowHow PLUS’ will replace the support section on www.nero.com. From this date, users going to report issues to Nero Support need to use ‘Nero KnowHow PLUS’. Volume License and OEM versions do not include ‘Nero KnowHow PLUS’. ‘Nero KnowHow’ App for iOS, Android, and Windows 10 will continue to be available without modification, i.e. it will neither include ‘Live Guide’ nor the function for reporting issues, but will include any updates on content as regular.